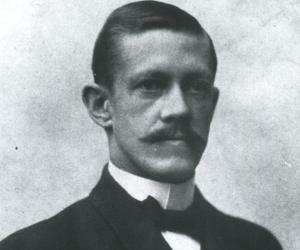 Allvar Gullstrand was a reputed Swedish ophthalmologist and optician who received the Nobel Prize for Physiology or Medicine’ in 1911. 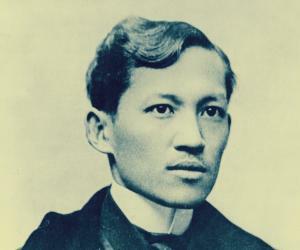 This biography profiles his childhood, life, research, achievements and timeline. Allvar Gullstrand was a reputed Swedish ophthalmologist and optician whose research on light-refracting technique of the eye won him the ‘Nobel Prize for Physiology or Medicine’ in 1911. He remains the only ophthalmologist to be awarded the ‘Nobel Prize’ for his work in ophthalmology. Two other ophthalmologists namely Fritz Pregl and Walter Hess, who received the Nobel Prize, were not related to ophthalmology or vision. Procedures of physical mathematics were applied by Gullstrand to study optical images as also the way light is refracted by the eye. The structure of the cornea was detailed by him. He is also distinguished for his research on the optical defect called astigmatism and his work in improving corrective lenses for use of those who underwent cataract surgery. His notable research in improving the ‘slit lamp instrument’ or ‘ophthalmoscope’ and procedures of focal illumination applied especially using ‘slit lamp instrument’ achieved great significance in the field of practical ophthalmology. As an elected member of the ‘Royal Swedish Academy of Sciences’, he served the ‘Nobel Physics Committee’ of the academy. He doubted accuracy of Albert Einstein’s ‘Theory of Relativity’ and thus used his position to ensure that Einstein would not receive a ‘Nobel Prize in Physics’ for such theory. He was born on June 5, 1862, in Landskrona, Sweden, to Dr. Pehr Alfred Gullstrand and Sofia Mathilda née Korsell. His father was the principal municipal medical officer. He studied at schools in Landskrona and Jönköping and completed his matriculation in 1880. 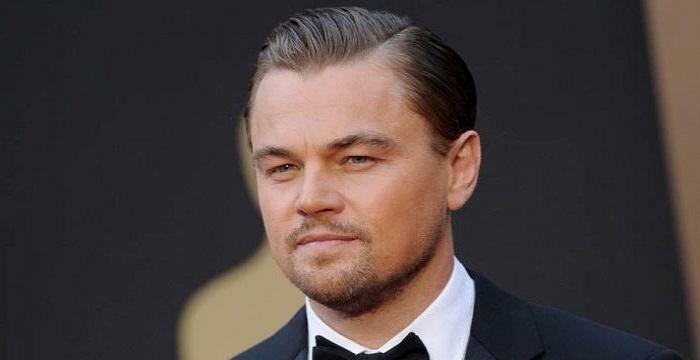 Thereafter he moved to Uppsala and got enrolled at the ‘Uppsala University’, the oldest university of the country. He attended the university till 1885 following which he decided to move to Vienna to study otoscopy, ophthalmoscopy and laryngoscopy and studied there for a year. He then moved to Stockholm and continued with his medical studies graduating from there in the subject in 1888. 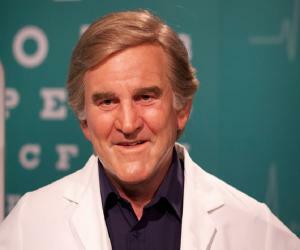 In the pursuit of specialising in ophthalmology, he joined the ophthalmology clinic at Stockholm’s ‘Seraphim Hospital’ and started working as an assistant to Johan Widmark. He submitted his thesis on ‘Bidrag till astigmatismens teori’ (Contribution to the theory of astigmatism) and earned his doctorate in 1890. 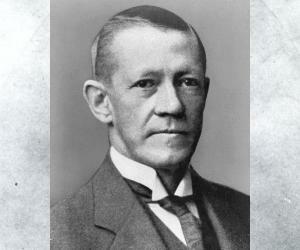 In 1891 he was inducted by the ‘Karolinska Institutet’ in Stockholm as Lecturer in Opthalmology. Simultaneously he also worked with ‘Swedish National Board of Health and Welfare’ (‘ Medicinalstyrelsen’) as a junior administrator, practiced privately and also worked in a public outpatient department (OPD). In 1894, Gullstrand was delegated to the first chair and professor of ophthalmology at the prestigious ‘Uppsala University’, where he was once a student. The fact that he was appointed by this prestigious university even though he did not have to apply for the position was in itself a great honour. 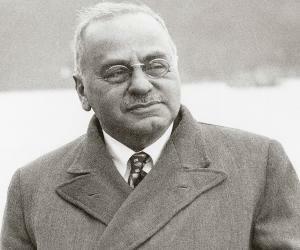 He remained member of many international societies including the ‘German Ophthalmological Society’ in Heidelberg. 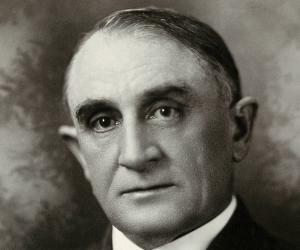 In 1897 he entered the society and regularly attended their meetings and later in 1912 became a member of the ‘Board of Directors’ of the society. The ‘Graefe Medal’, which is awarded by the society every tenth year, was given to him in 1927. Three works of Gullstrand contained complete proof of the theory he developed in his thesis on ‘Bidrag till astigmatismens teori’. These are ‘Allgemeine Theorie der monochromatischen Aberrationen und ihre nächsten Ergebnisse für die Ophthalmologie’ in 1900 (awards received from ’Swedish Medical Association’ and ‘Swedish Royal Academy of Sciences’); ‘Die reelle optische Abbildung’ in 1906; and ‘Die optische Abbildung in heterogenen Medien und die Dioptrik der Kristallinse des Menschen’ in 1908 (awarded ‘Centenary Gold Medal’ from ‘Swedish Medical Association’). In 1904 he was elected as a member of the ‘The Royal Society at Uppsala’ and during 1913-1914 he remained its President. In 1905, he was elected as a member of the ‘Royal Swedish Academy of Sciences’ and served the ‘Nobel Physics Committee’ of the academy from 1911 to 1929 and also remained its Chairman from 1922 to 1929. In 1908 the ‘Swedish Ophthalmological Society’ was founded by him with two others and he remained one of its prominent members. The procedures he applied in focal illumination, especially by way of ‘slit lamp instrument’ in 1911 had attained much significance in practical application by ophthalmologists. The reflex-free ophthalmoscope devised by him in the same year became an invaluable device for a diagnostician in the field of ophthalmology. He received honorary doctorate of philosophy from three Universities namely Dublin, Jena and Uppsala. In 1912, the ‘Swedish Medical Society’ inducted him as an honorary member. Later in 1922, on the eve of his 60th birthday, the society instituted the Gullstrand Medal in his honour and set up the Gullstrand fund for promotion of ophthalmic research. In order to relieve him from regular hospital activities and clinical teaching so that he could dedicate his time to research, the ‘Academic Senate’ of the ‘Uppsala University’ made a request to create a personal chair in physical and physiological optics for him. The Swedish Parliament granted the request in 1914 and thereafter Gullstrand held ‘Personal Professorship in Physical and Physiological Optics’ at the ‘Uppsala University’. After attaining the position in 1914, he dedicated himself into several procedures and calculations for obtaining a more appropriate form of refracting surfaces in optical devices. The library of ‘Uppsala University’ holds the record of such work of Gullstrand regarding calculations for optical systems and a publication relating to the subject, titled ‘Über asphärische Flächen in optischen Instrumenten’ (On aspheric surfaces in optical instruments) was issued in 1919. He also delved into examining optical system laws of the higher order. He attended the ‘American Society of Ophthalmology Congress’ held in Washington in 1922. He became emeritus professor in 1927 and moved to Stockholm and continued his work on science especially on the optical system laws of the fourth and fifth order. His significant contributions include analysis and study of optical images and the way by which eye refracts light; his research on astigmatism; the detailed knowledge regarding structure and function of the transparent frontal portion of the eye called cornea; and improvement of corrective lenses used after cataract surgery. Through his measurements known as the 'optical constants' of the eye, which are very much relevant and used till now, he explained a mathematical model of the human eye that is the 'schematic eye'. In 1911, he was awarded the ‘Nobel Prize for Physiology or Medicine’ for his contributions to the field of ophthalmology. He married Signe Christina Breitholtz in 1885. The couple had a daughter, Esther Gisela, who was born on March 2, 1886. Unfortunately Esther suffered from diphtheria and died as a toddler on December 11, 1888. On July 28, 1930, Gullstrand passed away in Stockholm following a cerebral haemorrhage. He was buried in the ‘Norra begravningsplatsen’, which is the ‘Northern Cemetery’ in Solna Municipality, Stockholm.